Hello, everyone! It’s finally Friday and I’m ready to get this weekend started! Last weekend we were sick and taking care of each other so this weekend we have to make up for it! Do you have any weekend plans? We’re going to a boat show and I plan to do some thrifting, which we’ve been obsessed with lately. I have been finding some super great finds at thrift stores all around us. 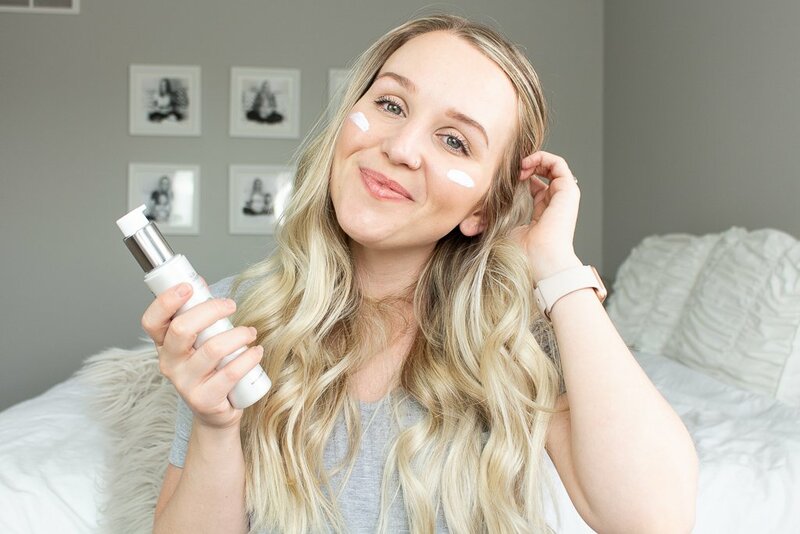 Today I’m sharing my favorite products at the moment because I just couldn’t wait until I do my February favorites. I have some good ones here for you so keep reading! I don’t use a lot of drugstore mascaras because I’m always left with feeling less than impressed. I just feel like mascara is something you need to splurge on a bit unless you get this one! I am super happy with the brush and bristles on this wand and the formula is lengthening and volumizing without being clumpy. This is such a gorgeous multitasker. I have the shade coral rose and it’s a beautiful natural coral shade. The highlighter is a gorgeous champagne shade and both are super easy to apply and blend well. Ohhh my gosh, you know love at first use? This is it. I used this sample from my Ipsy bag and fell head over heels in love with it. It’s a buttery smooth and super easy to blend, matte, bronzer. The shade is what I love too, it’s not too warm and not too cool/taupe and it’s perfect for my light to medium skin tone. 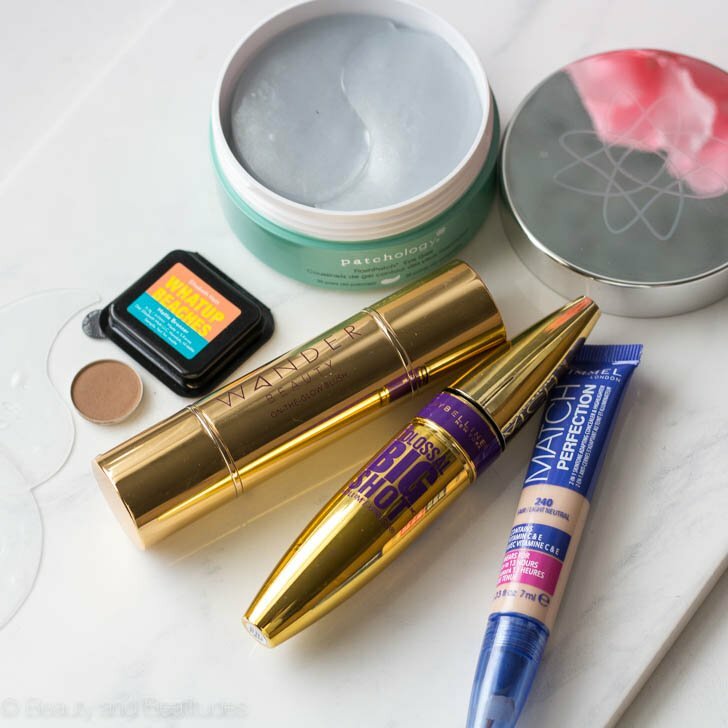 I rarely use the Ipsy discounts they give because the samples are usually big enough to last a long time and I just try so many things that I just don’t repurchase a ton of things. ANYWAYS I used to discount and purchased this guy right away, that says a lot. If you don’t get Ipsy, you can check it out here. I just got this about a week ago and I’ve been loving it. I like to try new concealers because you can never have too many. This one is very “highlighting” which I like, it’s perfect for undereye when you need extra brightening, which with an 11-month-old is ALL the time (teething is the devil). These are a perfect prep for your makeup routine. I pop these babies on and do my brows then take them off after 5 minutes to finish my makeup. They leave my skin so super smooth and primed. They’re also cooling so my undereye area looks like a dream. I hope you all have a lovely weekend, cheers!